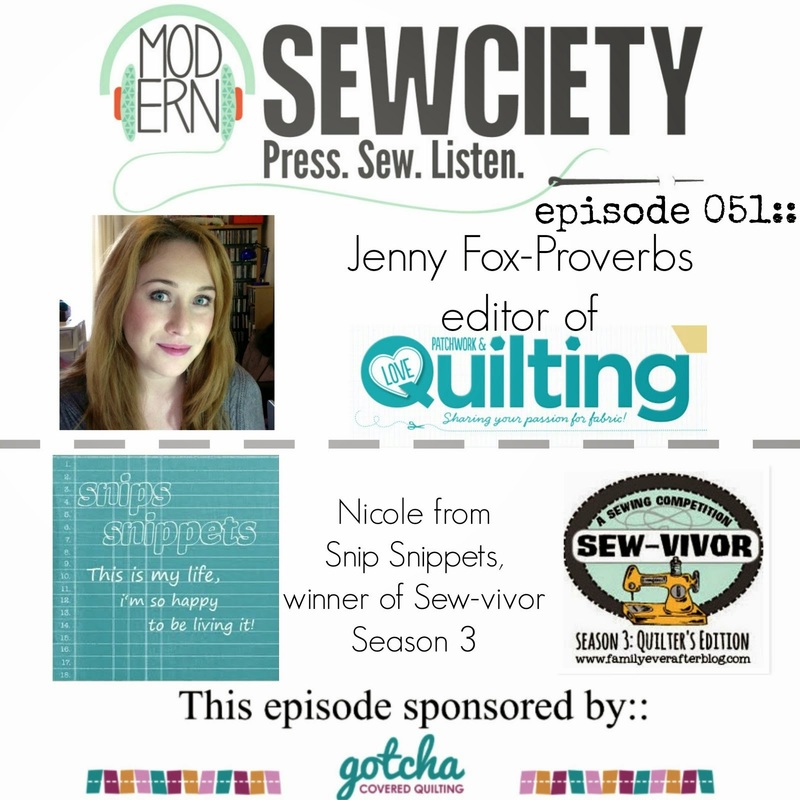 snips snippets: What?! Two post's in one day!! I must be Wonder Woman! What?! Two post's in one day!! I must be Wonder Woman! I'M WONDER WOMAN! Just deal with it. Simple, i know, but effective right?! So simple in fact that it's probably already been designed before and i'm just to lazy to search the interwebs for it. So if you know of this block would you mind passing the link over here! Thanks. Pretty impressive eh? I know... just go ahead and say it. I'm awesome. (And if we could all just ignore the fact that my top and bottom coral stripes don't quite make it to the edge, thanks.) And also i realize that this could have been made quite easily without paper piecing, but really, where's the fun in that! So i think four of these are in order for my next cornerstones! Now off to figure out the border! Linking up with Kristy at the Paper Piecing Party! You should seriously head over there and check out her Rapunzel block for Gina... amazing! 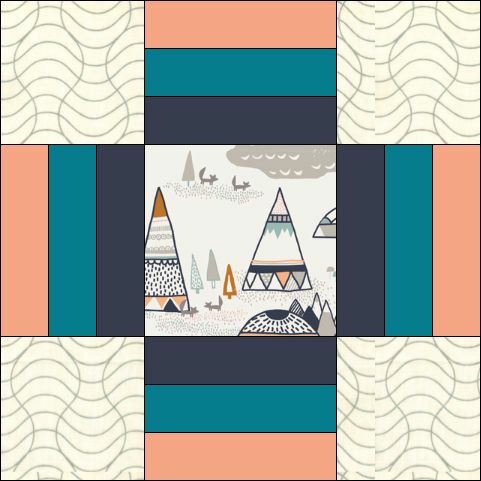 Very nice block - I need to try out Threadbias too. You are so awesome Wonder Woman!! Love it. I want to paper piece everything! Can Wonder Woman come tell my kids to sleep through the night? Please and thank you. Ha! "Wonder Woman" ;) Having just read your last post, I think you're worthy of the title! 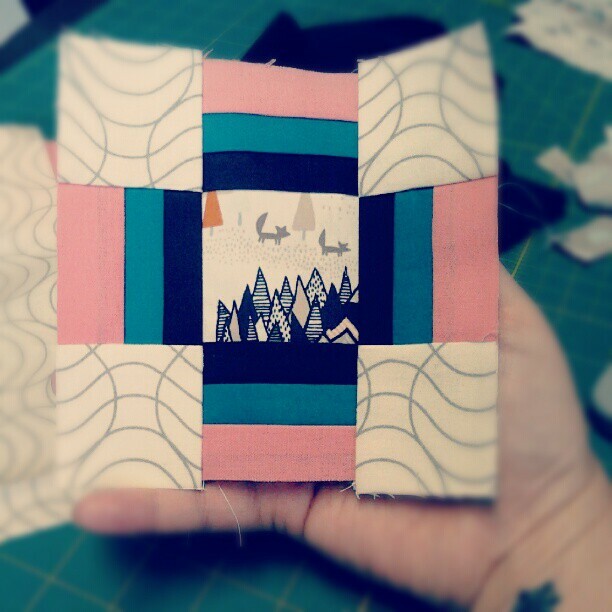 This block looks beautiful -- and, though I am no expert, I can tell you that it does not appear anywhere in the BB encyclopedia's "equal nine patch" category, so we just might have a snips *original* on our hands! You are cute! Love the intro to this post! And your cornerstone block is looking sweet, too! Great design! A little bit of show and tell! 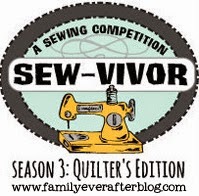 Finish it up Friday - the Swoon mistake. Finish it up Friday - the pillow edition! Second quarter FAL final report! WIP Wednesday - the quicky edition.